Ludlum has worked in public affairs at Ogilvy for nearly a decade. WASHINGTON: Ogilvy Public Relations has promoted Nick Ludlum to EVP and group director of the firm’s corporate and public affairs practice. Ludlum transitioned into the role in March and is based in Ogilvy PR’s Washington D.C. office. 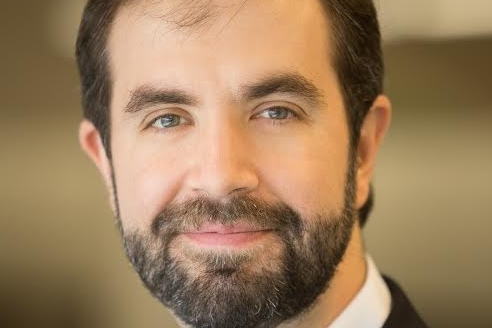 He reports to Robert Mathias, CEO of Ogilvy Washington, and is taking over the role from its interim holder Jamie Moeller, MD of Ogilvy’s global public affairs practice. "There were two characteristics that made him a good fit: [Ludlum] is very strategic. It’s fun to work with him; you can watch him break a problem down into parts and find the solution," said Mathias. "And he is very calm and likeable. He relates well to clients and to team members." In his new role, Ludlum is responsible for managing the public affairs practice, including overseeing business and client initiatives, ensuring the success of client programs, and managing the practice’s team of 10 people. He will also continue to run the crisis capabilities for the practice, a responsibility that he’s keeping from his previous position. "I really enjoy working with the team and the people I’ve worked with in different capacities for many years," Ludlum said. "It’s a real privilege to take over the responsibility and work with them from managerial perspective." Ludlum has been with the agency for nearly a decade, working in its corporate and public affairs practice for most of that time. He previous position at Ogilvy was SVP of corporate and public affairs and a founding member of Ogilvy PR’s planning group, insight and strategy. He started at Ogilvy as a VP. Prior to joining Ogilvy in 2007, Ludlum worked as a GM for Fusion Public Relations in Washington. "It’s an exciting time to be in public affairs in Washington," Ludlum said. "We’re in a period of transition. There’s a lot that’s changing and a lot going to be changing in the next 12 months with the election and change in administration." Ogilvy PR narrowed the responsibilities of regional CEO for North America Mathias to focus on the firm’s Washington, DC, office, earlier this year. Although Ogilvy PR global CEO Stuart Smith has taken on Mathias’ North America duties, Mathias’ title remains the same.